The fear of locusts has haunted farmers since biblical times and intensifies when agricultural markets are tight and food prices are rising. At times like these the last thing anyone needs is a swarm of predatory insects devouring all plant life in its path. So severe is the situation that the FAO is launching a battle against locusts amid warnings that global food inflation has hit poorer countries in central Asia and the Caucasus particularly hard and could stoke social and political tensions like those in the Middle East. Robert Zoellick, the head of the World Bank, warned in February that global food price increases averaging 36 per cent last year had reached “dangerous levels “ and could negatively affect central Asia. “Central Asia is a region where these goods prices have increased substantially and given the poverty levels—- there is a real stress point that could have social and political implications,” he said. Ten countries in central Asia and the Caucasus have appealed to the United Nations Food and Agriculture Organisation this year for help in preventing an onslaught of locusts that could add to growing pressure on food supplies. The region, covering a vast swathe of territory between China and Europe lies on the traditional migratory path of Italian Moroccan and other types of locusts that could threaten the food security of at least 20m people, the FAO said. Under a five-year program launched with $1.6m of assistance from the United States, the UN agency has pledged to promote early warning and early reaction activities to prevent the devastation of farm land in the area by locusts. 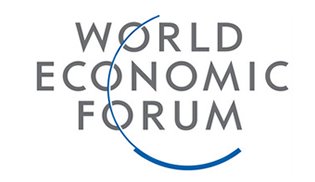 The initiative covers the five countries of central Asia known as the “Stans” along with Afghanistan, Armenia, Azerbaijan, Georgia and Russia. 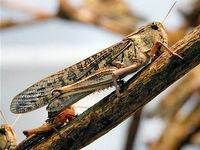 Locusts are able to fly up to 100km a day and adapt quickly to changing weather patterns, including those associated with climate change, the FAO warned last week. Their speed and resilience enables them to cover large distances spreading havoc across a patchwork of nations. “As borders are situated across the locusts’ traditional habitats and breeding areas, when a country is facing locust infestations it is more than likely that at least one neighbouring country faces a similar situation,” said Annie Monard, FAO locust officer. In Soviet times the authorities dealt firmly with locusts by introducing the world’s first aerial spray treatments and adapting military vehicles to combat pest insects on the ground. However, large tracts of arable land abandoned after USSR collapsed have created a favorable habitat for locusts and pest insects to thrive. In Kyrgyzstan where the poorest 10 per cent of the population spend almost three quarters of their budget on food, prices rose by 27 per cent last year. Georgia saw food inflation of 23 per cent last year and Tajikistan 14 per cent. Fearing a repeat of the unrest that toppled dictatorial leaders in North Africa this year, some central Asian governments have resorted to market intervention to control food prices. In Tajikistan, where Emomali Rahmon, the authoritarian president has advised citizens to stock up on two years of grain supplies, police have been deployed in food markets to ensure vendors of meat and bread observe state price controls. Speaking in Astana last week, Jacques Diouf, the FAO director general, warned that trade restrictions and price controls could exacerbate food price rises. “Such policies can affect production incentives and have spill-over impact on neighboring countries,” he said. That sounds almost as bad as locusts.